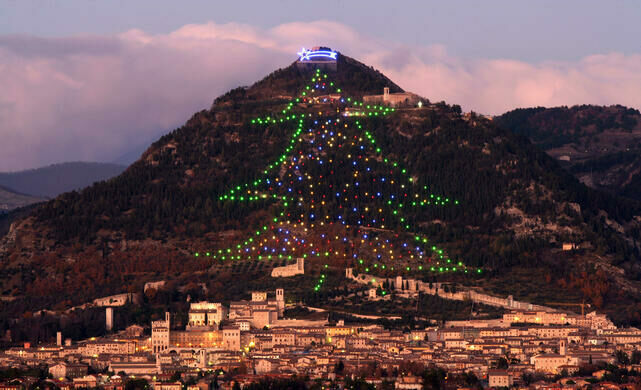 Every December, the medieval town of Gubbio, located in the heart of Italy’s Umbria region, lights up with the glow of a thousand multicolored lights shining within the green outline of a Christmas tree. 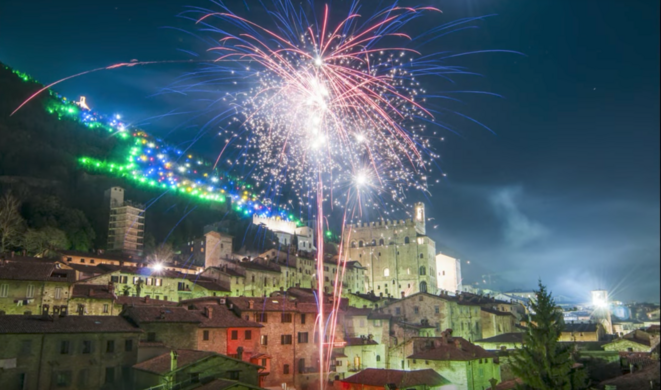 The festive light installation stretches over 2,000 feet (more than five football fields) up the slopes of Mount Ingino, starting at the foot of the mountain behind the walls of the old town and reaching up to the Basilica of the Patron Sant’Ubaldo at the peak, where it’s topped off with a bright shooting star made of 200 white lights. 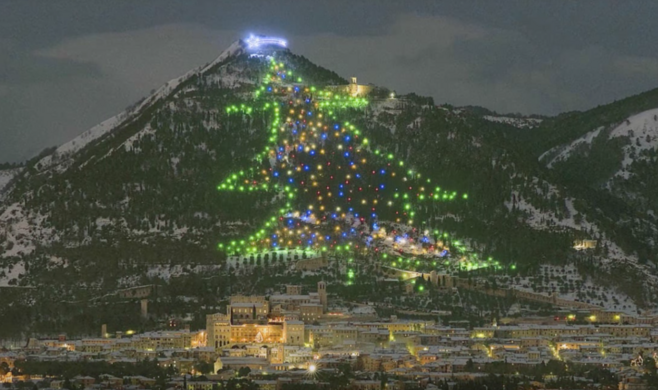 The illumination can be seen throughout the town, as far as 30 miles away. 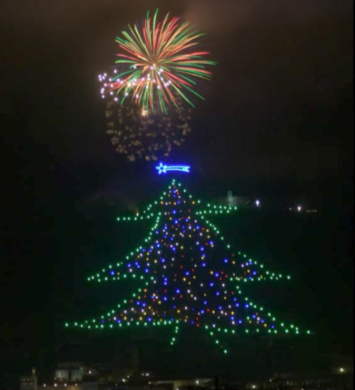 Since it was created in 1981 the monumental Christmas tree has been turned on every year on December 7th (on the eve of the feast of the Immaculate Conception) and stays lit until the first week of January. The project claims the title of the “largest Christmas tree in the world,” which is no doubt true if not taken in the literal sense. The above coordinates are for Piazza Martiri in the city center of Gubbio, where the 2017 tree lighting ceremony was held. 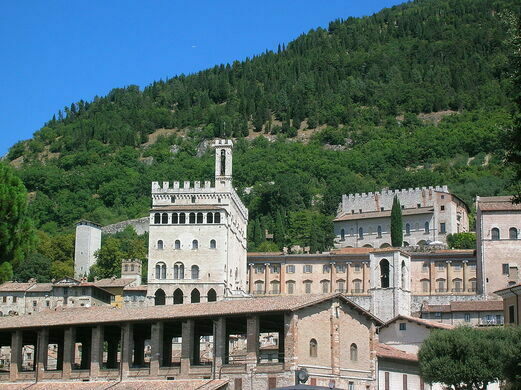 This domed temple was built in a hidden cave mouth as a refuge for sinners seeking absolution. Twenty-three trees, each paired with a basalt stone, line a street in Chelsea, continuing an urban project started by German Fluxus artist Joseph Beuys.